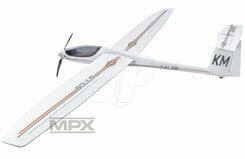 All Products > "25214264 Multiplex MPX Kit Solius"
High-performance electric glider with T-tail, cockpit and clear canopy. 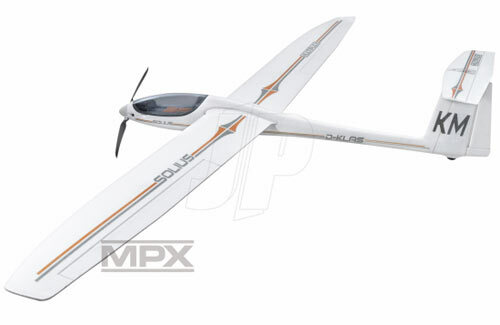 With its pleasant handling and excellent performance the SOLIUS offers tremendous flying pleasure to anyone from the weekend flyer to the pro-standard pilot. Whether youre looking for long gliding flights or lively aerobatics - the SOLIUS always gives a good account of itself. The outstanding features of this ELAPOR model are its many new, innovative and sophisticated details, which set entirely new standards for this class of model. 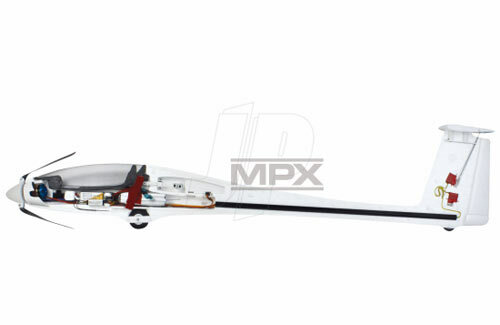 ELAPOR- Moulded parts for fuselage, wings with embedded GRP wing-joiner support, aluminium wing joiner, elevator and tailplane panels, canopy-frame and glider nose-cone, clear canopy and GRP strap. all plastic parts, small hardware items and linkage parts required to complete the model, decal sheet and comprehensive instructions.